Scientists across the country are expressing growing alarm that federal cutbacks to research programs monitoring areas that range from climate change and ocean habitats to public health will deprive Canadians of crucial information. Tune in to the fifth estate's documentary Silence of the Labs on Friday Jan. 10 at 9 p.m. on CBC television (9:30 p.m. NT). Linden MacIntyre tells the story of scientists — and what is at stake for Canadians — from Nova Scotia to the B.C. Pacific Coast to the far Arctic Circle. In the past five years the federal government has dismissed more than 2,000 scientists, and hundreds of programs and world-renowned research facilities have lost their funding. Programs that monitored things such as smoke stack emissions, food inspections, oil spills, water quality and climate change have been drastically cut or shut down. This week, scientists went public with concerns that irreplaceable science could be lost when Department of Fisheries and Oceans (DFO) libraries are closed. DFO plans to shut down seven of its 11 libraries by 2015. Already, stories have emerged about books and reports thrown into dumpsters and the general public being allowed to rummage through bookshelves. 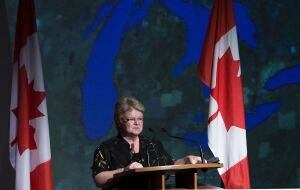 "Users will continue to have completely free access to every item in DFO’s collections. All materials for which DFO has copyright will be preserved by the department," Fisheries Minister Gail Shea wrote in a statement to CBC. But Turk says the problem is not just the loss of existing library collections. The fifth estate requested interviews with two senior bureaucrats and four cabinet ministers with responsibility for resources, the environment and science. All of those requests were denied. On Tuesday, the fifth estate received a statement from the office of Greg Rickford, Minister of State for Science and Technology, and the Federal Economic Development Initiative for Northern Ontario. "Our government has made record investments in science," it stated. "We are working to strengthen partnerships to get more ideas from the lab to the marketplace and increase our wealth of knowledge. Research is vibrant and flourishing right across the country." Members of the scientific community disagree. CBC’s the fifth estate spoke to scientists across the country who are concerned that Canadians will suffer if their elected leaders have to make policy decisions without the benefit of independent, fact-based science. “Canadians are going to have their government have to make policies based on much less fact and data and information, it’s going to be more ideologically driven,” Turk said. Similar concerns led to demonstrations in 17 cities across Canada in September 2013, with protesters calling for the federal government to stop cuts to research programs, and relax rules that many government scientists said hampered them from telling the public about their research. In May 2013, PEARL received a new grant from the federal government, pledging $5 million over five years so that the facility could resume its operations. But it wasn’t enough to save Duck’s research - his lab in Halifax where scientists processed data from the Arctic station is now closed, and his research group has left. 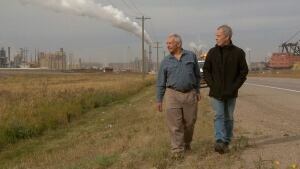 Before he retired in the fall of 2013, for example, David Schindler was a professor of ecology at the University of Alberta, where his research raised concerns about pollution from the oil sands. His research team found that the resource project was contaminating the Athabasca watershed, and many fish living there were developing deformities. When his findings were published in the Proceedings of the National Academy of Sciences, Schindler was criticized by both the Alberta and federal governments. Now he’s become an outspoken critic of a government ideology that he says is putting economic development ahead of all other policy objectives. But Peter Phillips, a specialist in public policy and science at the University of Saskatchewan, argues cuts to federal programs and institutes do not necessarily mean that science has been decimated, but rather that excessive regulation has been reduced.